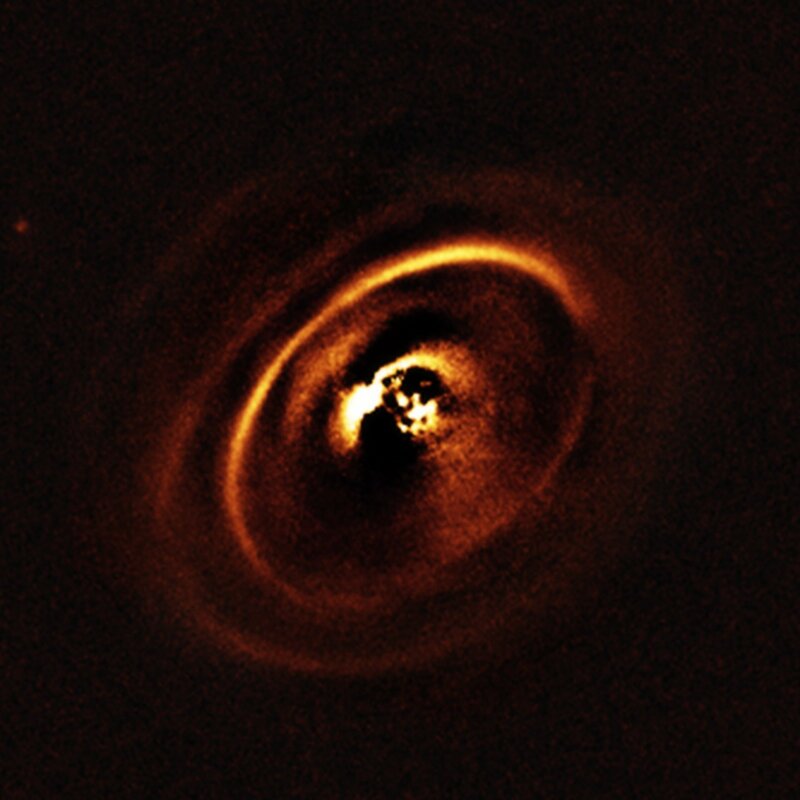 ESO’s SPHERE instrument reveals protoplanetary discs being shaped by newborn planets. The central part of the image appears dark because SPHERE blocks out the light from the brilliant central star to reveal the much fainter structures surrounding it. 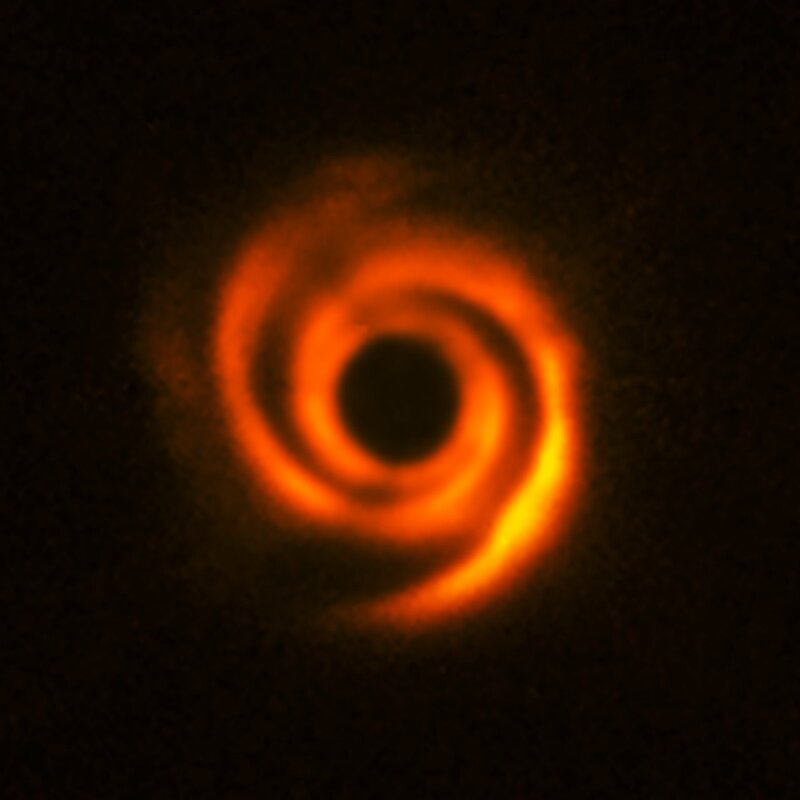 Credit: ESO, J. de Boer et al. Using the ESO’s SPHERE instrument at the Very Large Telescope, a team of astronomer observed the planetary disc surrounding the star HD 135344B, about 450 light-years away. The disc shows prominent spiral arm-like structures. These are thought to have been created by one or multiple massive protoplanets, destined to become Jupiter-like worlds. The central part of the image appears dark because SPHERE blocks out the light from the brilliant central star to reveal the much fainter structures surrounding it. Credit: ESO, T. Stolker et al. In addition, four dark streaks, apparently shadows thrown by the movement of material within HD 135344B’s disc, were observed. Remarkably, one of the streaks noticeably changed in the months between observing periods: a rare example of observing planetary evolution occur in real time, hinting at changes occurring in the inner disc regions that can not be directly detected by SPHERE. As well as producing beautiful images, these flickering shadows provide a unique way of probing the dynamics of innermost disc regions.